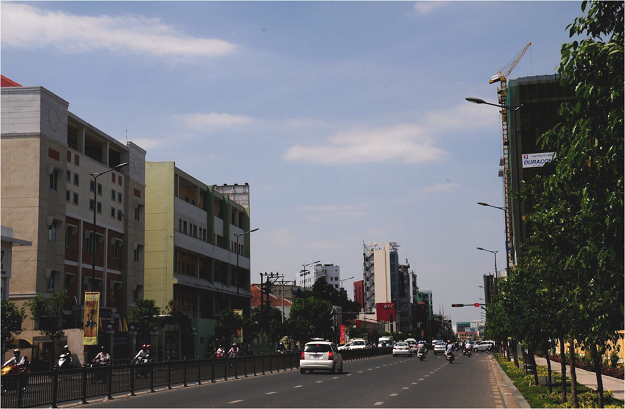 Upgrading and expanding Nguyen Van Troi - Nam Ky Khoi Nghia street, (the km0 + 000 - km3 + 800 from Hoang Van Thu street to Dien Bien Phu street) to coordinate traffic routes in the region, and establishing a centre line connect Tan Binh District, Go Vap District, Phu Nhuan District, District 3 and Phu Nhuan District, District 3 and District 1 for travel demand in the region, serving socio - economic development. 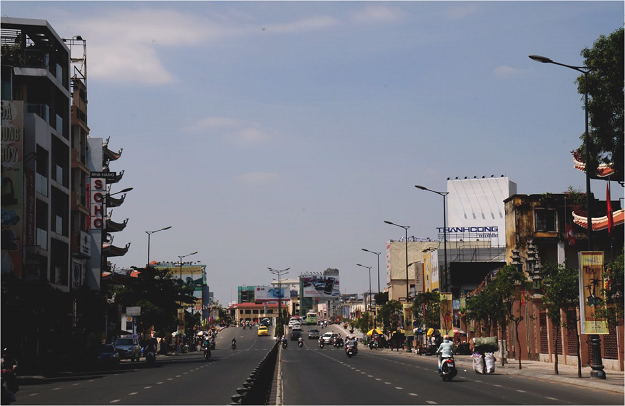 Nam Ky Khoi Nghia street is important of the City centre, it linking Tan Son Nhat airport toDistrict 1. The traffic density of vehicles are great on this route. Therefore design and installation of lighting along this route is essential. To ensure and limit traffic accidents at night and ensure security, and increases the visual aesthetics and civilization with modern architecture and urban area. Lighting lamps use two power levels is a new technology solution meets the requirements of savings while ensuring uniformity inthe standard requirements (selection shaped lamps must comply with the cylindrical structure and need light, can use FURYO lampsor lamps shaped like fish meet the specifications and quality according to design requirements). The system operates on the principle of 100% capacity during peak hours, off-peak all the lights still work but only 60% capacity. Based on the selected layout and base lamp illumination, the average luminance of each road pavement in love to design, install lightson the chosen route of each road segment, the design requirements lights installed on selected routes in the design requirements, street lights are high Pressure Sodium ball (High pressure Sodium - HPS) Ballast 250W/150W - 220V and 150W/100W-220V, controlled the operating performance in the control cabinet. Along the main road on the pavement. The Route from Hoang Van Thu street to the Cong Ly bridge and from the Cong Ly bridge to Vo Thi Sau street, on the route Nguyen Van Troi - Nam Ky Khoi Nghia use Sodium 250W/150W – 220V reflector public. 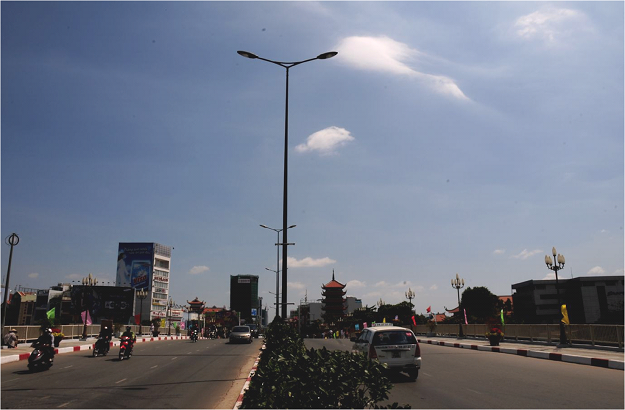 Lighting along the main route from the Hoang Van Thu street to the Cong Ly Bridge and the Cong Ly Bridge to Vo Thi Sau street:Lighting layout is symmetrical two sides through the centre line, using a lighting pole which has high lamp 11,5m, circular cone type,decorative base pole, installation of HPS lamps 250W/150W-220V on the sidewalk. The average distance between two lighting pole consecutive is 32m → 38m.